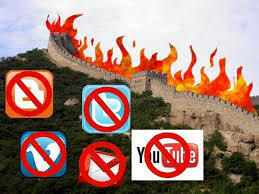 Anyone who has traveled to China and attempted to access certain content via the internet will undoubtedly have encountered the famous Great Firewall of China, officially known as the Golden Shield Project. A government-implemented policy that aims to censor access to a variety of content, ranging from the politically subversive to that considered inappropriate for the people of China, this notorious firewall is one of the most powerful in the world, yet it is possible – and quite simple to break through it if you know how. Many believe the Great Firewall also incorporates surveillance techniques, making it more sinister than at first thought. The Golden Shield Project is part of the Chinese governments continued desire to control the internet in the country, and is aimed at censoring material considered too ‘Western’ or politically sensitive; these range from the teachings of the Dalai Lama, sites supporting political groups in favour of democracy, and many social networking outlets. Even Wikipedia, the online free content encyclopaedia, is blocked in China, although there are signs that some of these sites are being slowly freed from their shackles. The Great Firewall uses, in general, standard DNS server programming to implement its purpose; anyone requesting information that is not permitted by the government run servers will find access denied. However, by using a virtual private network – VPN – which access content by a server that is beyond the firewall, in other words not within China, visitors can access the content they require. The many VPN services use servers in countries throughout the world, so you would be accessing as if you were in, say, the UK or USA. There are in fact no direct laws against using a VPN in China, although the authorities take a dim view of persons who are found to be accessing blocked content. However, the second major advantage of a VPN is that it encrypts all data and therefore hides your identity. So long as you are not accessing content it in itself is illegal, and you go about your ways discreetly and without making it too obvious, then you can use a VPN to browse the content you would at home when in China.